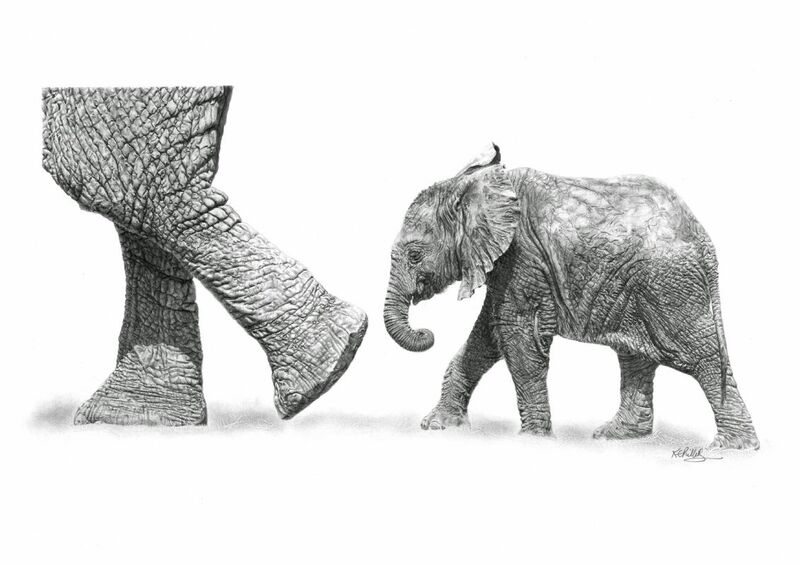 16 x 9" pencil drawing of a young Elephant Calf doing his best to keep up with his Mum. A Limited Edition black and white 16 x 9" print of the original pencil drawing 'Wait for Me'. This particular print is limited to only 50.